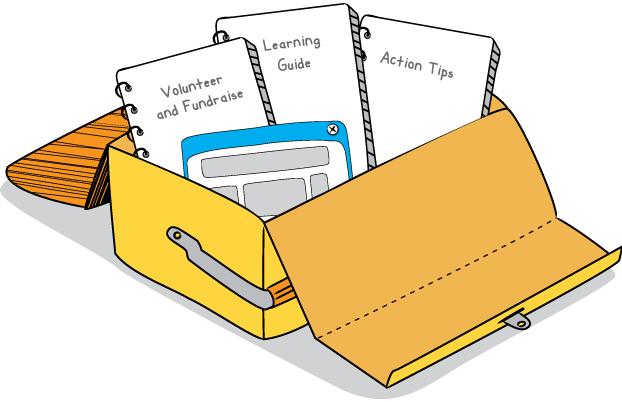 This action kit contains materials and simple ideas on how corporations, groups and individuals can contribute in helping children with disabilities. You can play your part in ‘disabling’ society’s misconceptions to ‘enable’ these children to live a more positive and fulfilling life. 1 Pledge your support now for children with disabilities, everywhere. Join Disable2Enable and recruit as many friends as you can. 2 Learn about the Convention on the Rights of Persons with Disabilities and help spread the word so more people are better informed. We also have a special learning toolkit for teachers and students! 3 Help survey your local shopping malls (or other public spaces such as parks, cinemas etc) to ensure facilities are user-friendly for people with disabilities. 4 Every person wants to be acknowledged for what they’re good at. Children with disabilities have talents, skills and abilities too that are unhindered by their disability. Ask them to help with chores, to paint, sing, play or anything that matches their interests. 5 Organise inclusive play between children with and without disabilities in your neighbourhood playgrounds. 6 Organise a ‘blind’ futsal match. Blindfold students and form them in two teams. They’ll be given a special ball to play, containing bearings that emit a sound as it moves. Students can express their firsthand account of being blind and playing futsal. Stories can be submitted to UNICEF Facebook page. 7 Get your school to join Challenges Buddy Club for children and youths with and without disabilities to enjoy fitness, fun and peer fellowship together. 8 Create a newsletter or column in thelocal newspaper about disability rights. 9 Support the Government to sign and ratify the Optional Protocol on the Convention on the Rights of Persons with Disabilities. 10 Join the global movement to Stop the R-Word. The Convention on the Rights of Persons with Disabilities came to force five years ago, on 8 May 2008. The first human rights treaty of the 21st century, the Convention promotes, protects and ensures the equal rights and fundamental freedom of all persons with disabilities, including children. Malaysia ratified the Convention on 19 July 2010. The “It’s About Ability” books were created for and with the participation of children to explain the Convention on the Rights of Persons with Disabilities, why it was created and how it can help people with disabilities realise their rights. We hope you can use the book to help children with disabilities have an equal chance at achieving their goals. Please help spread the word and share this information with your friends, colleagues, teachers and loved ones. Do something meaningful on behalf of a charity or organization that serves children with disabilities. You could walk a marathon, organize a car wash or garage sale to raise funds and create disability awareness in your community.